Jason Segel stars as Jeff, a 30-year-old man who, as you may have gathered, lives in his mother’s basement. He is quiet and lonely – probably deep in the throws of depression – and holds onto the hope of fate, that he is destined for something greater when the time comes. He insists, to himself as much as others, that he isn’t being lethargic, but is instead waiting for a sign. When his mother asks him to go buy that wood glue I mentioned earlier, signs start appearing, and he decides to follow them. This leads him to reconnect with his brother Pat (Ed Helms), a struggling businessman in an unhappy marriage who looks down on his lazy sibling. Pat needs Jeff’s help, however, when they spot his wife Linda (Judy Greer) getting in a car with another man, and as the brothers investigate, Jeff’s philosophy will be put to the test. All the characters are sad and flawed in one way or another, but wholly relatable; their problems – lethargy, loneliness, jealousy, anger, pain, grief, etc. – are issues we all experience, baggage we may be taking into the theatre with us. That means that when Jeff petulantly argues with his mom about going to get wood glue, or when Pat is unwilling to listen to his wife, or when Linda considers infidelity, we judge none of them, but instead see that they are good people struggling through hard times. We want them to get better, and that’s where Jeff finds his true calling. As the film’s embodiment of existential hope, his destiny lies in healing others, and it is incredibly uplifting to watch him come to this realization. He is content just to know others find worth in him, and the film builds to this moment of salvation beautifully. 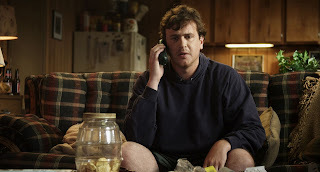 That’s due in no small part to Jason Segel’s raw, piercing performance; he says relatively little in the film, but expresses so much through body language and facial expressions: the way he holds himself, the sadness in his eyes, his awkward, uncomfortable movements, etc. It’s a deeply empathetic, captivating piece of acting. I’ve long been on record saying Segel is one of my favorite actors, so it’s no small praise when I say this may be the greatest work of his career so far. 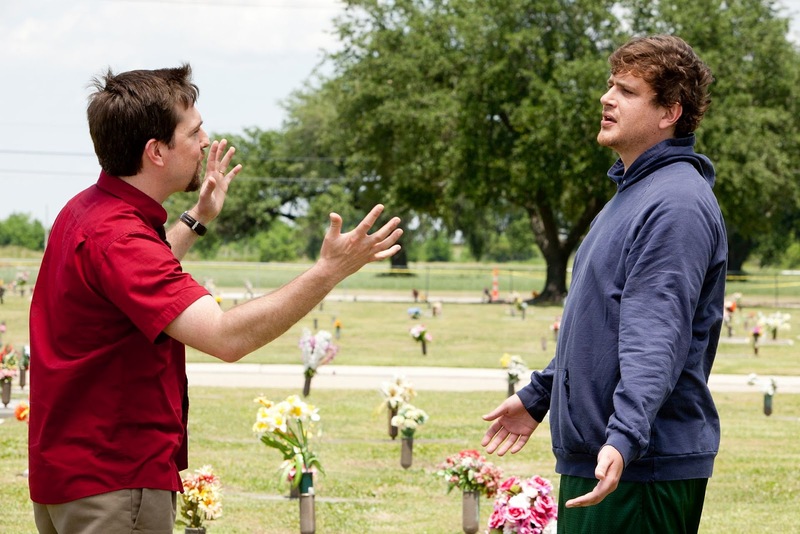 There’s no doubt when it comes to Ed Helms, however: this is absolutely the best performance he’s ever given. Stripped of many, but not all, of the neurosis that often define his work, Helms plays Pat as a down-to-Earth everyman with an edge, and excels to heights I never knew he could reach. Late in the film, he gives a stirring speech – one I dare not spoil here – that is the emotional highlight of the movie, an honest and moving delivery that will forever redefine the way I view Helms. He and Segel are perfectly paired, their sibling chemistry ringing true from start to finish. And I would be remiss if I failed to mention Judy Greer’s marvelous work as Linda; as in last year’s “The Descendants,” she nearly steals the show with a small but moving role that provides the film’s biggest emotional wallops. Susan Sarandon also co-stars as Jeff and Pat’s mother, and while she’s quite good, her subplot is the film’s only notable flaw. She’s separated from her sons for the majority of the film, isolated at her office where she’s instant-messaging with a secret admirer. This story covers similar thematic ground as the main plot – finding happiness, taking a leap of faith, etc. – but it’s infinitely less compelling, dull and meandering where the other material is lively and engaging. I really like the way her story wraps up, but it takes the film an awfully long time to get there, and every time we cut from Jeff or Pat back to their mother, it feels like taking a commercial break: intrusive, unnecessary, and boring. “Jeff, Who Lives at Home” could probably be recut into a 50-odd minute short film by removing this material, and would honestly be stronger for it. But ultimately, it’s not a debilitating flaw; the rest of the movie is so incredibly effective, so thematically articulate and powerfully acted, that I can forgive occasional lapses into less compelling content. I can’t guarantee the film will work for everyone – Jeff’s philosophy is close enough to my own that it made a particularly strong impact on me – but I absolutely recommend giving it a chance. 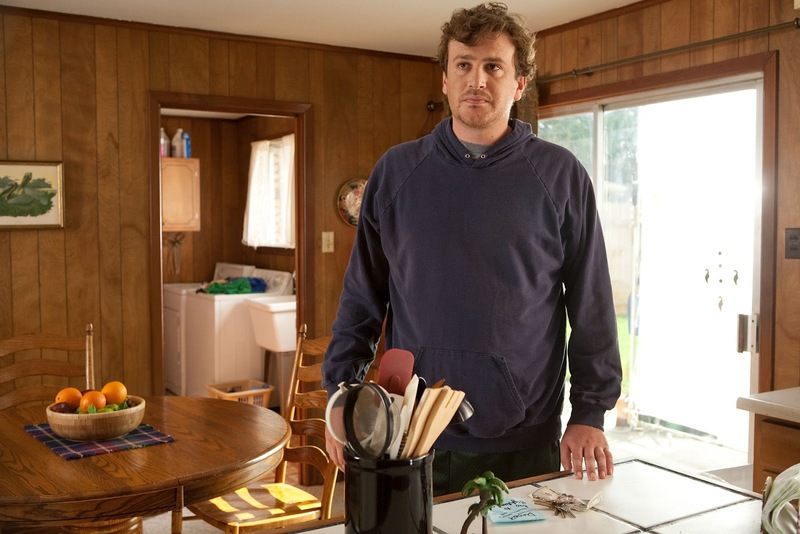 It’s rare that a movie helps us look at the world in different ways, but “Jeff, Who Lives at Home” is that precious gem that leaves one with a new appreciation for the wonders of life. It's a pretty thin concept for a feature, with some potent one-liners and sight gags that are more sporadic than consistent. The cast is pretty good and tries their best but what I was mostly surprised by was how unfunny Segel and Helms were together, and they were improvising half of the time too! Nice review. Check out my review when you get the chance.